What Is the Distance Between Wall Studs? 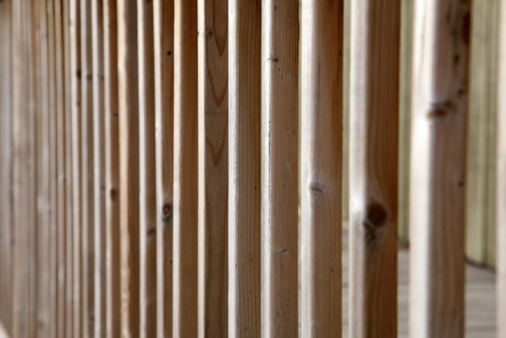 Studs are vertical boards, typically two-by-four or two-by-six, that are installed during new construction and home remodels to frame walls, doors and windows. Spacing between studs needs to be an exact measurement so that 4-foot-by-8-foot sheets of drywall or exterior sheathing can be evenly distributed across the center of each stud to complete the wall assembly. Sixteen-inch on center means there are exactly 16 inches from the center of the narrow (nominal 2-inch) side of one stud to the center of the next stud. Standard two-by-four studs actually measure about 1 1/2 inches by 3 1/2 inches. Studs are installed in vertical rows between the walls top and bottom plates. The studs are placed 16 inches on center for most interior load-bearing walls and non-load-bearing walls as well as exterior load-bearing walls. Each stud is nailed in place with the 1 1/2-inch edges parallel to the faces of the wall. 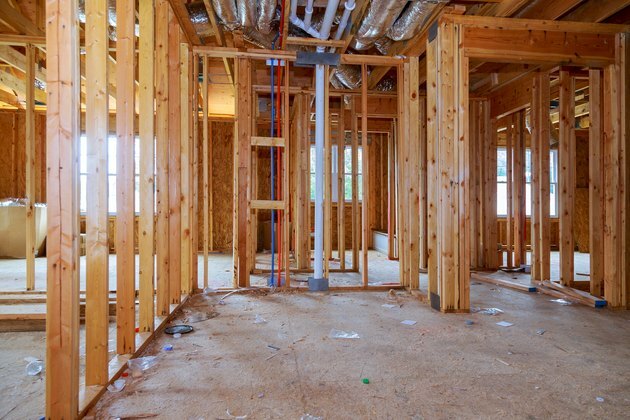 It's not uncommon in older homes to find interior walls with studs set 24 inches on center, or even 12 inches on center or anywhere in between. Stud spacing in old houses was not as crucial because the walls were often covered in lath and plaster, so the framing didn't have to conform to a 4-by-8-foot panel. Today, stud placement is strictly governed by building codes, based on what the walls are supporting. Exterior walls and some interior walls are load-bearing, meaning the walls support the roof and ceiling above, as well as the upper floors in multilevel structures. 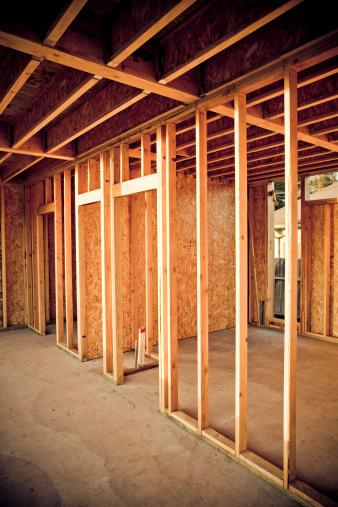 Wall stud spacing is typically 16 inches on center for all load-bearing walls. In some areas and in some situations it's permissible to use 24-inch spacing for two-by-four stud walls supporting only a roof above, or for two-by-six walls supporting one story and a roof above. Consult the local building department for requirements in your area. The wrong spacing or wrong size of studs can compromise the stability and strength of the structure. Some exterior walls get three studs at each end, or a combination of one extra stud and lumber blocking, to provide backing for wall panels. The extra studs or blocking do not affect the 16-inch on center layout. The first two studs on a wall typically aren't spaced at 16 inches on center; their centers are only 15 1/4 inches apart so that the drywall or other panel material covers the entire 1 1/2-inch edge of the first stud. The remaining studs are 16 inches on center, and each panel stops, or "breaks," at the middle of the stud. Lay out the stud locations with a tape measure, square and pencil. Starting at the left end of the wall plate, stretch your tape measure out to 15 1/4 inches, and make a mark. Then, use your square to draw a pencil line across the top (3 1/2-inch side) of the plate. Finally, mark an "X" on the right side of the line, indicating that this is the side where the stud goes—the stud will cover the X. Move the end of the tape measure to the first stud line, and mark the remaining studs at 16-inch intervals, drawing a line for each and marking with an X to the right of each line, as before. The last stud distance likely will be less than 16 inches, and this is fine; you can trim the last drywall panel to fit. What Size Does Drywall Come In?